Despite their benefits, many homeowners – either due to inertia or concerns about tankless hot water – stick with what they’ve got. In this blog post, we’ll look at your hot water options to learn which is better: tank heater or tankless hot water. It seems a little wasteful to heat 50+ gallons of water per day, doesn’t it? If you don’t use all of the hot water in your tank, it remains heated – your tank heater works for the entire day to keep that hot water available for when you need it. The idea behind a tankless water heating system is simple: you should only heat the water you need, when you need it. Rather than keeping tens of gallons of water at the right temperature all day, tankless heaters bring it up to temperature as you use it. This makes them significantly more energy efficient, environmentally friendly and – in many cases, more convenient – than tank heaters. Since they heat up water only when its needed, they allow unlimited access to hot water for you and your family. Which is the best water heating option? Both tankless water heaters and traditional tank heaters have their own advantages and disadvantages. Many of the advantages of tankless heaters have become greater in the last decade due to rising energy prices and a focus on environmentalism. There are two main benefits to tankless water heating: limitless hot water whenever you need it, from long showers to a warm bath at the end of the day, and a reduction in your home’s energy consumption. Both of these benefits are quite significant. While a 50-80 gallon tank might provide enough hot water for 2-3 people, it can quickly prove to be insufficient when you’ve got guests – whether family members or friends – staying at your home. Everyone’s had an unpleasant shower experience in which the hot water ran out as they squirted shampoo into their hair or soaped up their body. Tankless hot water, which offers unlimited hot water, makes this annoyance a thing of the past. The energy savings of tankless hot water are also significant. Under regular use, the amount of power saved by a tankless hot water system compared to a tank heater is around 20 percent – no small amount, especially with energy prices on the rise. Yet despite these benefits, there are also reasons not to switch over to a tankless hot water system, at least for some homeowners. The first – and biggest, for a great deal of homeowners – is the cost of installing tankless water heating. Tankless heaters can cost two to three times as much to purchase and install as their tank-based counterparts, making them a major investment for homeowners. Due to their high cost and benefits, they’re a major selling point for residential property. Another potential reason not to install a tankless system is the water waste. While a tankless system uses far less energy than a tank heater, it also increases water waste since water needs to be run for several seconds before it’s warmed up. 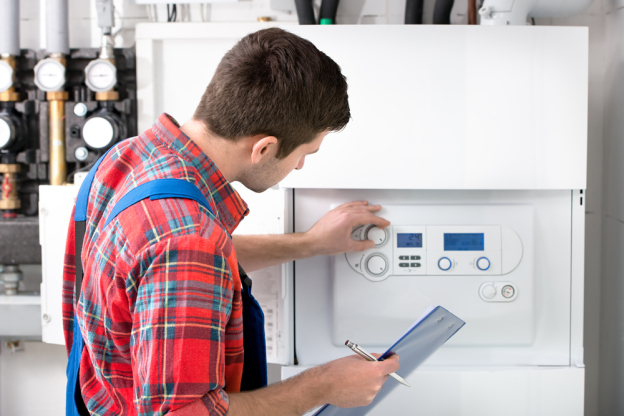 Which water heating system is best? Both tankless water heating and tank heaters offer a variety of benefits with a range of downsides. However, the major cost, convenience and environmental benefits of tankless hot water make it a more appealing option than a traditional tank heater. From the comfort and convenience of endless hot water to the reduced amount of energy your home will consume, consider going tankless today to enjoy a massive range of benefits at home.